· 1 in 4 people in routine and manual occupations is a smoker compared to 1 in 10 in managerial and professional posts. · People who are unemployed are almost twice as likely to smoke as those in work. · Just under 2.5 million people use an E-cigarette (also known as Vaping) in England. 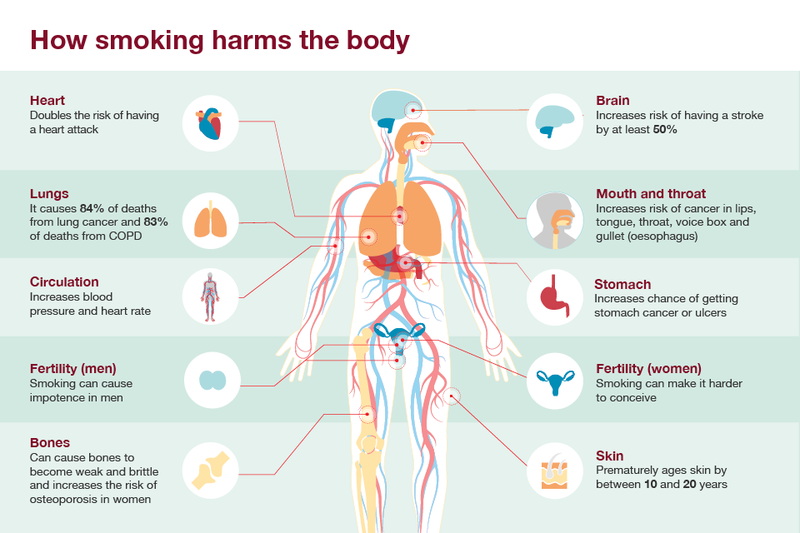 What are the Harms associated with Smoking? The most successful way to quit smoking is to access your local stop smoking services.Local services can support those who use Shisha pipes, E-cigarettes and those who smoke Cigarettes.